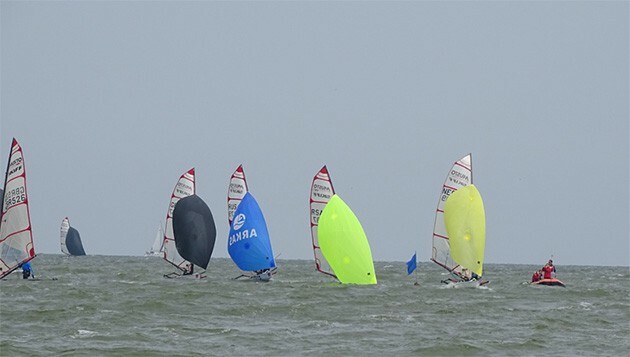 Worlds three day test event and Dutch Eurocup from 8 to 10 June 2018, Medemblik. Friday dawned beautifully upon the quiet village of Medemblik, welcoming both local and travelling sailors with warm sunshine and a light northerly breeze. 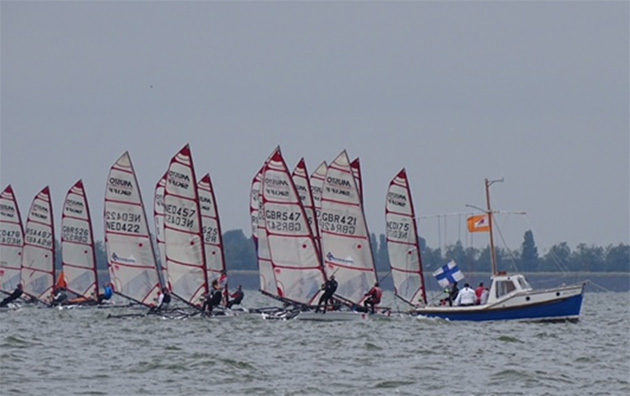 19 boats attended the event from 6 countries, one even travelling for 5 days, from Russia, to enjoy the racing. The organising team did fantastic work of putting on the regatta, and the race committee followed suit with a very professional display of running the racing. Racing started as soon as was possible and the courses were good. 3 races were promptly run in challenging conditions, varying wind and generally lumpy sea state, keeping sailors on their toes. No matter the position in the fleet, there was always other boats to have a close battle with. The Dutch brothers of Jelmer and Roelof Kuipers showed pedigree and with very little time in their boats over the last year, were right on the pace. Saturday saw a change in the weather, with an increase in wind strength and rainy conditions. The sea state was bigger than Friday and as such there were more wipe-outs around the course. 3 races were once again well run and were deemed sufficient to tire out all taking part. 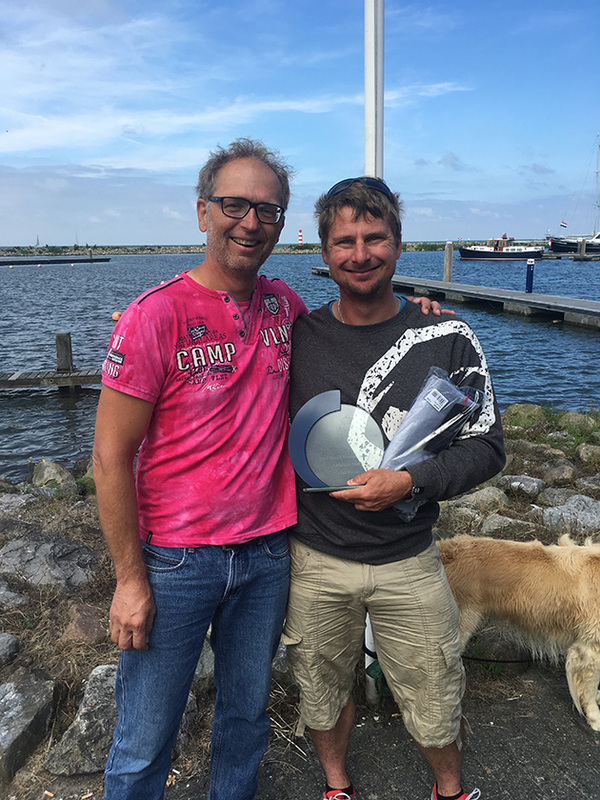 Paul Dijkstra found his rhythm in the bigger breeze and was untouchable upwind. Roger Oswald also showed good skill and pace on the day. Sunday revealed an overcast morning with a fairly light breeze greeting everyone, although the clouds made way for a warm sunny afternoon and building breeze. The variable gusts meant frequent place changes around the course with various people managing to string together some good sailing and gain a jump on the others, only to find that on the next leg someone else had strung together some good sailing and traded places. David Annan had a solid day to climb up the overall standings nicely, and Yaroslav Petrov finished off strongly to prove that the 5 days of travel hadn’t made him weary. The racing was very close, fun and friendly – a sentiment shared by many people over the course of the weekend. The locals have mentioned that very seldomly blows from the north, although the conditions spoilt us from this direction for 5 days in a row. 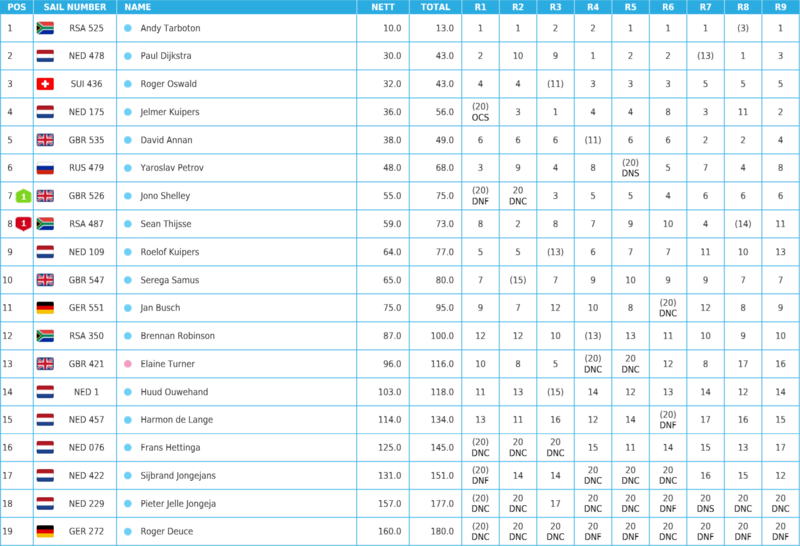 Full results are linked below. ← The site for the next Musto Skiff worlds is online!